I don't know if i am seeing things, but when the Hashrate of ASICMINER dropped on BTCGuild from 3.5TH/s to around 3TH/s the Hashrate of the top OZCoin miners went up. Could it be, that they are hashing there without telling? It was announced by friedcat yesterday that other pools will be used once they make 'corresponding adaptions to very large workloads in the next week'. Its possible because friedcat claimed they tested at other pools but the results were too bad. 20 more blocks and we are #1 on btcguild. Amazing isnt it? Diff is so going to sky rocket in the coming weeks to a month or two. And yet strangely enough it still looks like 27ish Th, and has been for what, three months now? There are four lucky addresses. I'm just going by the value reported on bitcoincharts. It's been something like 25-30 Th since at the very least November. Why so hostile? the value reported on bitcoincharts. It's been something like 25-30 Th since at the very least November. Why so hostile? Yup. Whether you look at the 3- or 7- or 14-day average, we clearly went from 21-22 to 30+ THash/s in 1.5 months. Hardly unchanging, but clearly a nice +50% mining increase. Avalon previously said that they were assembling around 12 units a day. I took a look at the homepage of avalon and they claim that their units have 0.065TH. When they complete 12 units a day they have a speed of 0.78TH per day. That seems to be more than the 0.2TH Asicminer can create. And i dont have clue whats the hindrance here. I really would prefer to have more infos. Are they sitting around with a soldering bolt and put the asicchips at a PCB or what is the time-eater? It really is worrying me now a bit that we dont have 12TH online but 4.2TH only. After weeks. I think even if friedcat would hire real professionals to do that task and they come at friedcats place it would be way way more effective because the income would be way more than the salary. I really see a problem here. Please friedcat think about a solution, maybe hire some guys that can help because when the 50TH are coming the speed now is used wouldnt work. I dont want to put pressure on you friedcat to work more, because it looks you guys are working hard anyway. I only want that you guys think about a solution to make this all faster. And hiring-costs wouldnt be the biggest factor to take into account. I agree, more people needed to get full benefits. I hope friedcat will see it the correct way. The way i see friedcat till now he is a kind person with ideals and he really wants to create a good shareholder experience. But persons like that are at risk of becoming a workaholic. When i read they work day and night, often without sleep, i think its not too far fetched. And if one is in this wheel you want to do everything alone, dont want to delegate. Even though the results wouldnt be the best seen from the outside and the person doing the work is bringing the own health in danger. Im not sure if something like that is involved but i hope friedcat and team can see the things rational and can come to the best decision. But i would like to know anyway what exactly they are doing and what it is that is eating the time. Then one can think about a solution. 2. Temps are more likely to break extremely valuable components. 4. Training temps and ramping them up takes time. 1. Short contracts tend to be more expensive for the reason you stated, quality of them is just as subjective as long term contracts. 3. We don't know if he did scout, which is just as good as not, since there was no implication of speed up, in fact there was of slow down. 4. We are talking about 2-3man job adding 1(2?) hands, which is 25-50% speed increase, the ramp up is minimal considering an estimated 200day deployment based on historical data. I hope friedcat will see it the correct way. The way i see friedcat till now he is a kind person with ideals and he really wants to create a good shareholder experience. But persons like that are at risk of becoming a workaholic. Please keep the psychoanalysis to yourself. Everything in this regard is far fetched anyway. Until now we have seen nothing but professional conduct from friedcat. However, the rate of deployment is a good question. I expect friedcat to address this issue sooner than later, since everybody is aware that the rate of deployment is a critical component in the growth potential of the company. Why do you think a shareholder of a company cant ask what its going on or suggest solutions? In fact i think shareholders are in some kind part of a company so that they should try to make things better. And im very sure that friedcat is able to find help that is able to be a help instead making things worse. Maybe youre right and my "analysis" was far fetched. But with the current information politics there is not much place than guessing. So when i see the speed of work together with their claims that they work day and night what should i think? In February (only 4 days left) the 50TH will come in and from the first 12TH are a bit more than one third online. That doesnt look to me like they found the time to overthink their workflow when they all work day and night. So maybe im wrong but i see a problem that has to be solved. And i wont excuse for trying to do this with the little bit of info i have. 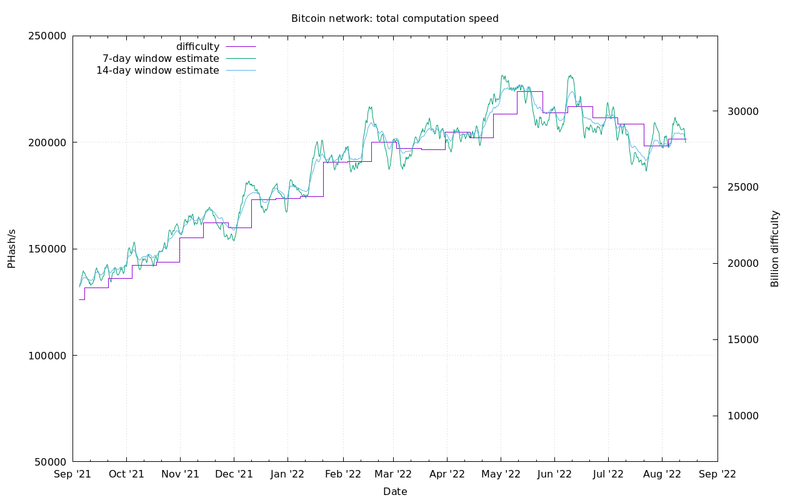 With this speed and the given difficulty ,it's very easy to calculate we're mining about 633BTC/day. Since this equals about $19k/day, getting another 4.6TH/s up a week earlier than predicted for example, will simply give $133k more profit. I think it's not a bad idea to invest in some more hands because we probably only have a few weeks where we can get BIGG profits. If all the other ASIC's are coming online it will be much more difficult to get such a big part of the pie. But I'm sure Friedcat and the others have considered this so there probably is a reason why they didn't.